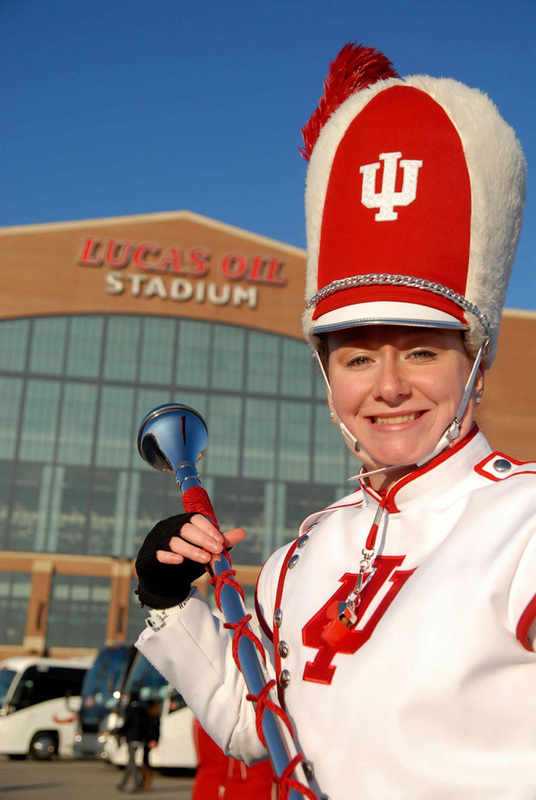 In December 2011, IU’s marching band was selected to play a quick five-minute show in the pre-game show before Super Bowl XLVI, including tunes R.O.C.K. in the USA and Sing, Sing, Sing. 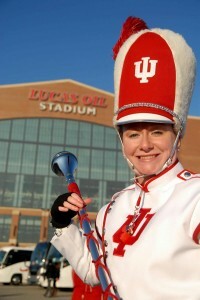 Since we didn’t make a regular season bowl game for the fourth season in a row, our band strived for the highest and made it to the Super Bowl. For our brothers and sisters, not only was it an unforgettable experience to be on the field, but also it was a privilege and an honor to spread our love for and dedication to music to a national audience. 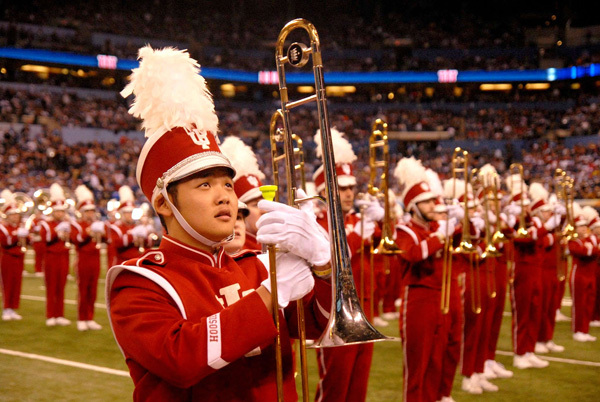 We hope that in our short five minutes on the field we were able to cultivate a greater respect for music in general and also for the college and university bands. Dylan Suehiro, a trombone player and brother of Alpha Zeta, waits to start the Marching Hundred’s show at the Super Bowl XLVI.